Bill Manhire has two new books out this year – a collection of poetry called Some Things To Place in a Coffin and Tell Me My Name – a collection of riddles along with a CD of songs composed by Norman Meehan, sung by Hannah Griffin. 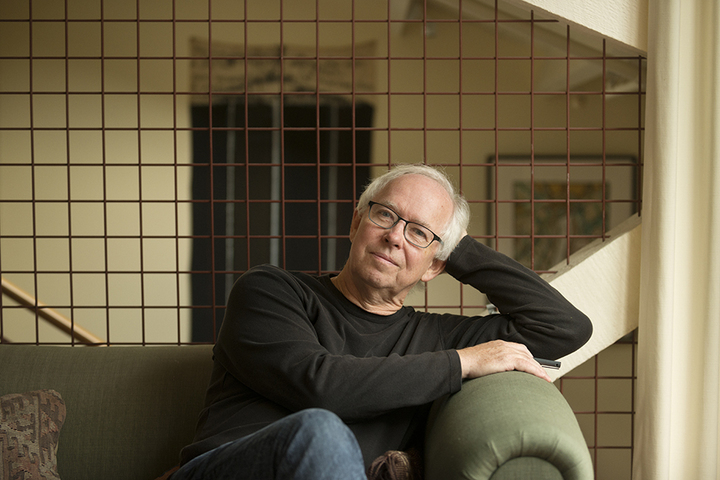 Bill Manhire founded the International Institute of Modern Letters, which is home to New Zealand’s leading creative writing program. He is now Emeritus Professor of English and Creative Writing at Victoria. In 1997 he was made New Zealand’s inaugural Poet Laureate, and in 2005 he was appointed a Companion of the New Zealand Order of Merit and in in the same year was named an Arts Foundation of New Zealand Laureate. He holds an honorary Doctorate of Literature from the University of Otago and is a Fellow of the Royal Society of New Zealand. He received the Prime Minister’s Award for poetry in 2007. In 2016 Victoria University Press published The Stories of Bill Manhire which collected new and published short fiction. This entry was posted in NZ author, NZ poems, NZ poetry, Uncategorized and tagged Bill Manhire, Kim Hill on March 4, 2017 by Paula Green.